One of the most recognized American folk artist, Butch Anthony works in various media, including collage, assemblage, painting, and drawing. As a teen, Mr. Anthony found a 65-million-year-old dinosaur bone in a creek on his family’s 80-acre property in the small southeastern Alabama town of Seale. Thanks to that discovery, he got a scholarship to Auburn University, where he studied zoology and geology. His specific way of looking at the physical world led him from being a self-taught researcher of nature and the astonishing variety of living things to becoming quite a unique mind in the contemporary art world. 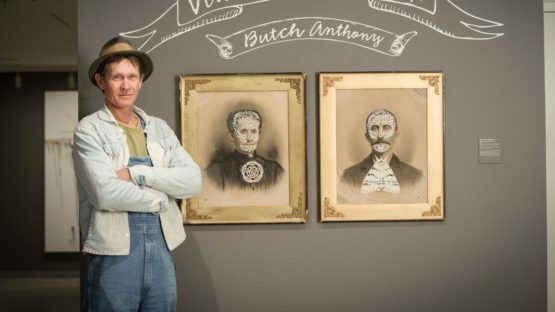 Butch Anthony started creating artwork in the early ’90s when his friend John Henry Toney dug up a turnip with a human likeness. After John’s drawing of the turnip fetched $50 in a friend’s junk shop, Butch also began his artistic career. Self-taught, he has developed his own genre of work called Intertwangelism – an ism of his own creation. 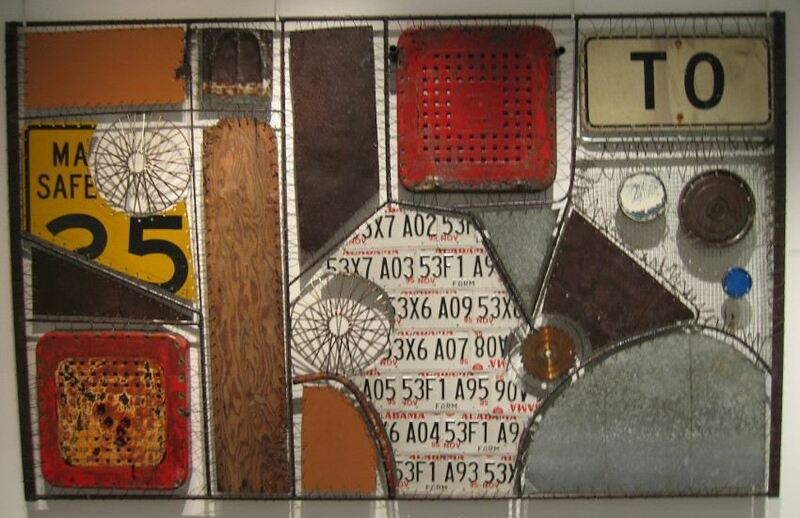 Describing himself as “artist, picker and builder of things”, he has made his name by turning salvaged trash into treasures. With a unique ability to see the potential in objects that others take for granted, the creative walks all over his farmstead in Alabama looking for things such as bleached out cows’ heads or dead bird carcasses, pieces of wood, or fossils of extinct animals. 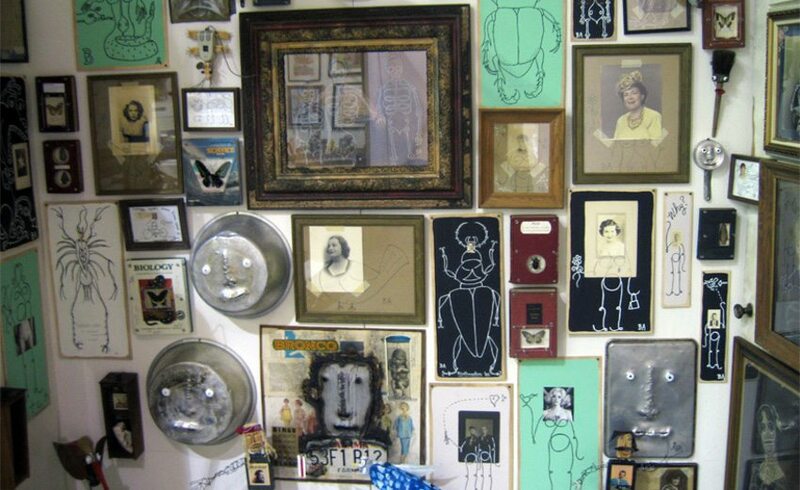 He collects those bizarre objects and transforms them into oddly attractive artworks. 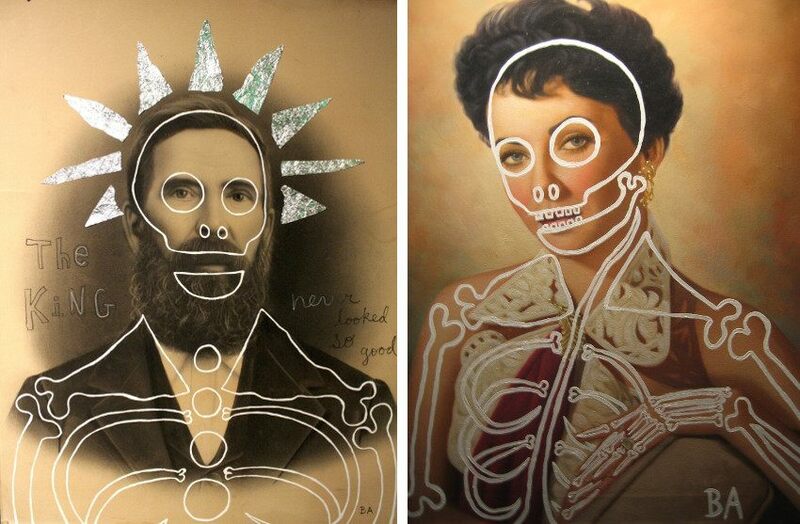 Mr. Anthony’s portraits impose underlying bone structures onto 19th-century photographic portraits he purchases at thrift stores and flea markets, as well as old photos affixed to paintings of fictional creatures. The portraits depict tight-lipped, rigid and nameless sitters that the artist beautifies with paint and found objects, often incorporating humorous phrases and symbols, as well as the words and expressions that he has heard in his life like Monkey See Monkey Do, Go Down Kicking and Scratching, and We Heard It All Before. The artist creates the stories around characters depicted on the paintings while putting them into his creative and personal context. Mr. Anthony’s eclectic approach to art and life resulted in a specific museum he made – the Museum of Wonder which started in the 1970’s as the artist’s taxidermy shop and artifact room. Today it is one of America’s favorite roadside attractions filled with art, artifacts and antiques. The property also houses Mr. Anthony’s hand-built home elegantly decorated with his own artworks, which was featured in the NY Times. 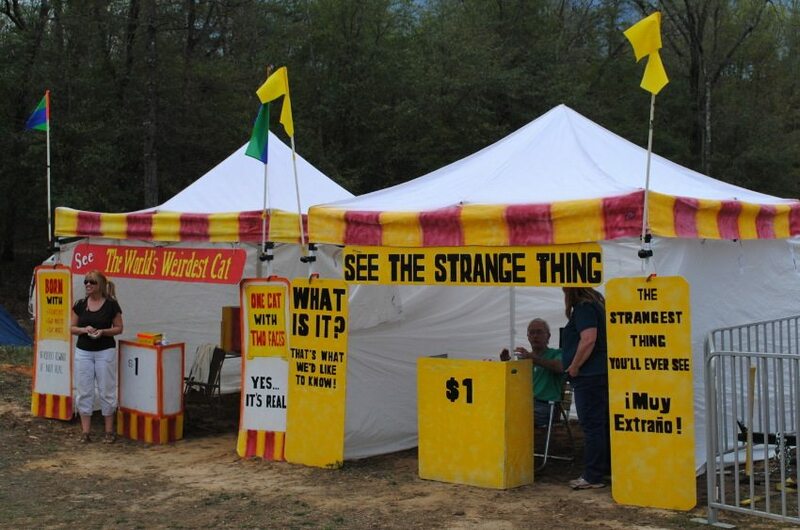 Among the Museum of Wonder, Mr. Anthony runs and a junk auction house called Possum Trot, also located on his Alabama property. Butch Anthony has organized multiple festivals on his property. One of the most famous is Doo-Nanny Festival, the folk art festival born out of a roadside art show in 1996. In the meantime, Doo-Nanny has evolved into a temporary community filled with a creative expression that occupies Butch’s farm once a year. 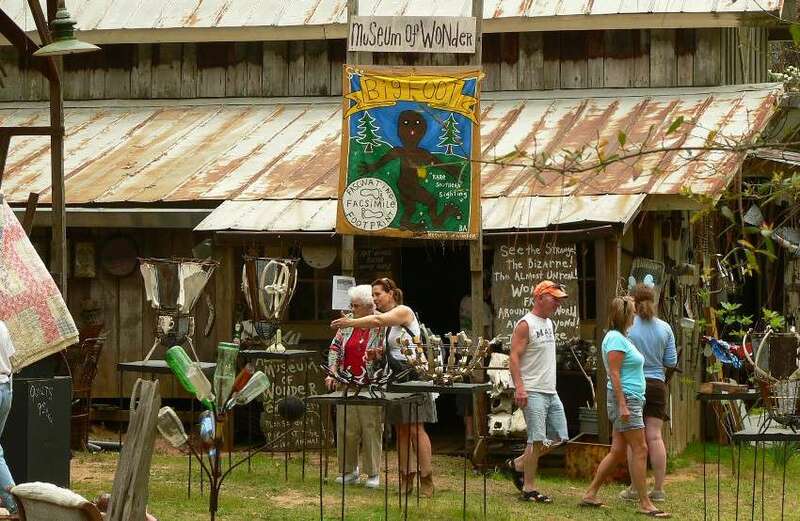 Located at 41 Poorhouse Road in Seale, Alabama, the festival includes work from not only folk artists but also fire-spinners, whittlers, musicians, foodies, movie makers, jugglers, and others. Represented by Black Rat Projects in London, the creative has participated in numerous shows in the United States and the UK. In 2012, he had his first solo museum show, Vita Post Mortum at the Akron Museum in Ohio. His first solo show outside the United States was held in 2013 at the Black Rat Projects in London. Mr. Anthony’s work is included in many collections in the USA, Canada, Amsterdam, Germany, England, Australia and New Zealand. He was profiled by the NY Times and featured on American Pickers, an American reality television series on the History Channel. Within Mr. Anthony’s Alabama compound, where he lives with his partner, Natalie Chanin, and their daughter, Maggie, this creative has made up his own artistic universe. Paintings, drawings, sculptures, and mixed media assemblages created from found and recycled objects are just a part of his peculiar and alluring body of work. The intriguing artist expresses a uniquely humorous take on life, death, money and women. Thanks to his prodigious creative spirit, Butch Anthony has become a kind of legend for folk art aficionados who visit his 80-acre home in Alabama all year round.